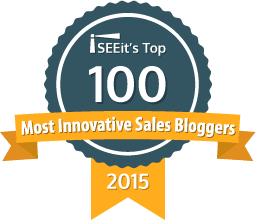 In this interview, I talked with Amanda Georgoff, Enterprise Sales Rep at SalesLoft. She has 15+ years of frontline experience selling software and services to CFOs, CMOs, Heads of Sales and other functional executives at F500 companies across her time at SalesLoft, Xactly and CEB (now Gartner). Our topic focus was about bringing our personal authenticity to our interactions with future and current customers. Being real and being you opens the door to strong relationships and better sales conversations. Decision makers can feel the insincerity of the reps focused solely on achieving quota. How Amanda defines personal authenticity. The moment that Amanda first realized being more authentic in her conversations with potential customers was important. She told me about the manager who “coached” her how to relax the scripted version of herself – the person she thought she was supposed to be – in sales calls. Amanda talked about the questions her manager/coach asked her that led to her making the shift to being more authentic. You’ll find out when you listen to the interview, how Amanda realized that putting herself in the buyer’s shoes and raising questions or possible concerns they might be thinking about became a competitive advantage for her. More than a few training companies insist that we (sellers) should NEVER bring up a potential problem, issue or objection that the buyer might have before they do. Amanda and I talked about how this assumption is a myth that doesn’t work against you. Amanda shared examples of what really happens when you bring up issues or concerns you think the buyer might be having. We also talked about helping buyers stay engaged during our sales meetings with them. Let’s face it, we all know that buyers sometimes check out during our sales calls. Amanda discusses her strategy for re-engaging buyers when this happens. Finally, we closed by talking about the advice Amanda has for women in sales roles who worry about being themselves for fear they’ll be described as “soft”, “weak”, “touchy feely”, and as a result try to act more like the guys. As always, another insightful interview! Listen and enjoy! Spotify Stitcher Google Play Don’t use any of these platforms to listen? Listen to the recording above. Amanda Georgoff is an Enterprise Sales Rep at SalesLoft; she has 15+ years of frontline experience selling software and services to CFOs, CMOs, Heads of Sales and other functional executives at F500 companies across her time at SalesLoft, Xactly and CEB (now Gartner). Amanda is known for taking a consultative, insight-based approach to selling, consistently over-performs quota and has won multiple Presidents/Chairmans Club awards. She loves working directly with customers, adores her team, and was skeptical of using video in meetings before she tried it. Amanda resides in Austin, TX with her husband, Michael, her son Gray (2.5 years) and baby girl Hayes (5 months). Her favorite Queso is from Torchys Tacos. In this Women in Sales Leadership podcast episode, I talked with Erin Bush. She is the Director of Revenue Operations at SalesLoft, the platform for modern sales engagement. As we get into the conversation, you will hear how Erin’s career choices led her to where she is today. A Walker 2020 report revealed that by 2020, customer experience will overtake price and product as a key differentiator. There is no doubt that experience is a key priority for many organizations. Forrester reported that 72% of businesses say that improving the customer experience is their top priority. In a blog from NewVoiceMedia, their recent research indicates that companies lose more than $62 billion due to poor customer service. That’s a big problem! 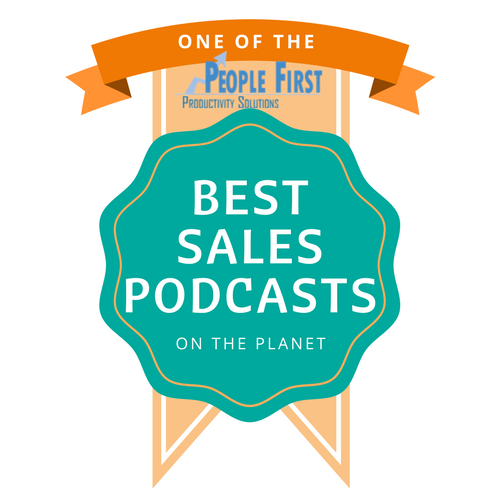 I talked with Erin about how SalesLoft defines customer experience and who is involved in the experience process. From their point of view, it is a team effort between Marketing, Sales and their Customer Success team. How the teams work together to create seamless experiences. How they make sure that the team is well informed and hand-off points are clearly defined. How technology and systems are key to a successful workflow. Erin Bush is the Director of Revenue Operations at SalesLoft, the platform for modern sales engagement. In this role, she works with Marketing, Sales, and Customer Success to create systems to more efficiently prospect, win, onboard, and support customers. Erin is a veteran sales leader in the Atlanta startup community. An innovator in sales operations, Erin specializes in building a connected sales practice utilizing modern sales technology. Yesterday, I attended the inaugural Rainmaker 2015 event in Atlanta produced and hosted by Kyle Porter and his SalesLoft team. To say that I was impressed is an understatement. I’ve followed Kyle’s path since 2011 and have been incredibly impressed with all that he has accomplished in building his business. So, back to the conference. And, yes, that’s me in my Rainmaker t-shirt getting ready to make some phone calls. What I loved about the conference was the passion, the energy and the high value speakers and presentations. There was a palpable buzz when you walked into the conference area. Everyone was there to talk all things sales development. That buzz morphed into energy overdrive as the conference was kicked off in one of the most unique ways I have ever seen. To get things started, we were treated to a presentation by the Atlanta Falcons drum line. Wow doesn’t even begin to describe how great they were!! With that amazing act kick starting our morning, you just knew that more goodness was on the horizon. The overarching theme was that business development is a critically important part of the sales process. But expecting sales reps to do the chasing and the closing might not be the most effective approach. Establishing a BDR (business development rep) team whose sole job is to find new opportunities and set appointments is what led to the fast paced growth experienced by the companies highlighted throughout the conference. You cannot wait for someone else to give you the information you need to succeed. Buying lists is a waste of time, as they are generally out of date the moment you purchase them. Don’t rely on marketing to understand the ideal buyer, business development reps need to own the buyer persona. The best sellers understand human behavior and leverage clarifying and confirming when talking to prospects. The best sellers do not talk about products and services. As Steve Richard of Vorsight said, these sellers talk about common truths, which mean you need to know what the buyer cares about. Identifying an ideal client profile, including both the account and the contact within that account. Understanding how your target buyer buys. Understanding the decision making process and when talking to a potential customer, you need to know exactly what phase of the decision process the prospect is in at any given time. Determining your cadence for contacting potential buyers. You have to test, adapt, and test again to determine what’s right for you. Message matters. Haven’t I said this for years? Personalize messages that speak to what your prospective customer cares about. That means doing some homework, and this is where tools like LinkedIn, Twitter and InsideView can play a huge role. There was too much great learning to force into one blog post. Stay tuned for more highlights from the Rainmaker event in subsequent posts. I’ll close with this final thought. More than one speaker made a point to say that a key characteristic they look for in sellers is the openness to continual learning. Naturally, this is near and dear to my heart, because I believe that the most successful salespeople (well, people in general) are those people who devote time to learning something new each day. I’m often asked about age in relation to using social media as part of selling. People want to know if the younger folks are the ones who are most successful using social channels as part of their work life. After all, all things digital was their pacifier. My answer is absolutely not. Age has nothing do with it. Anyone can learn something new. The rainmakers in life embrace learning and never think they know it all. Time is a precious commodity, and I’ve been to more than one conference that wasn’t quite worth the investment of time or money. Not Rainmaker 2015. Hats off to Kyle and his team!